Meet the family of Mr. William Adamcak who passed earlier this year. His children donated to the Seeds of Change in honor of their dad. 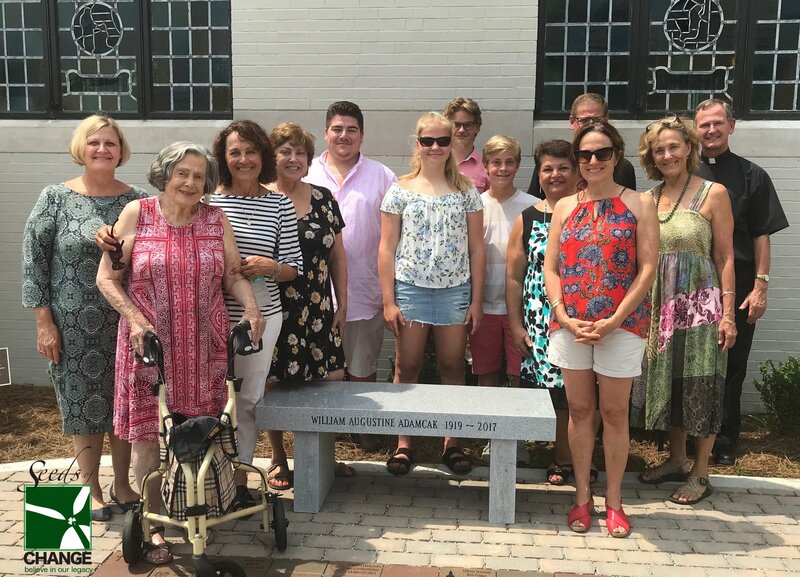 This week a bench was placed in honor of Mr. Adamcak right beside Jesus. Thank you to the Adamcak children and grandchildren who remembered their patriarch in such a loving way. If you wish to make donation in honor of a loved one, please contact Leslie Harris, Director of Development, via email: lharris@mbschurch.org, OR click HERE to DONATE NOW!